Is it too early to mention Christmas? 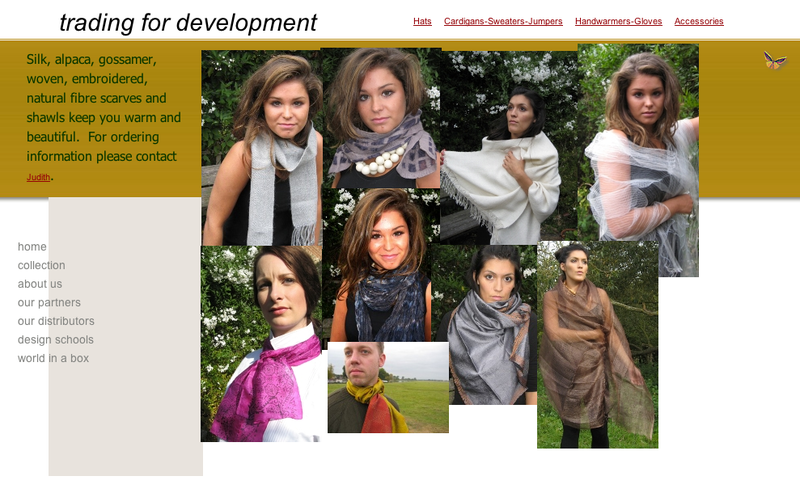 Well – Christmas Fair season is coming, and this year local Oxford Fair Trade fashion business ‘Trading for Development’ are heading across the county taking their products to local events. In the current economic climate, time is tough for many fair trade craft producers, so TfD are working hard to make sure all their producers continue to have a sustainable income. You can find out more about Trading for Development and some of their products online, or visit them at one of the stalls listed below. This entry was posted on Thursday, November 3rd, 2011 at 10:17 am and is filed under Uncategorized. You can follow any responses to this entry through the RSS 2.0 feed. You can leave a response, or trackback from your own site.